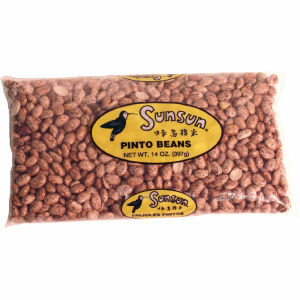 SunSun offers fine quality pinto beans appreciated by chefs across the country. Our 14 ounce package is the perfect size for quick and nutritious meals. Packed using the very best beans available and run through a special three step process which includes de-stoning, dust removal, and polishing. Your dishes are always special with SunSun®.